Touristram creates moments you'll never forget. A great day out in Antwerp: cultural, culinary or simply to enjoy and relax. Make your choice here. Discover the popular city sights during a sightseeing tour. 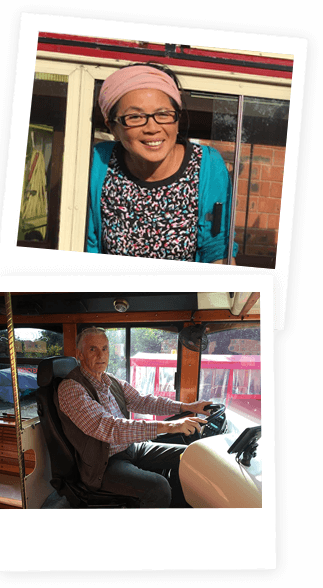 Excursions for senior citizens, children or people in care? Jump on and enjoy the ride. Touristram has more than 25 years of experience and we are a very dynamic organisation. We drive the extra mile to give our guests an unforgettable day. We can offer a unique shuttle service from point A to B, open-house days, city tours in several cities, tailor-made programmes, vehicle rental, unique ceremony transportation for your wedding and so much more. The possibilities are endless, but one thing is certain, “the grass is always greener on the other side”, and Touristram will drive you there. "Touristram has become part of Antwerp's scenery, and I hope that Touristram can continue to drive for many years to come."